The BBC Radio 2 Folk Awards Singer of the Year 2014 has, says The Guardian, “become one of our most versatile and impressive songwriters”. Over the course of seven albums, Hardy has shown “rare class and exceptional emotional depth” (Mojo) in her songwriting while wooing audiences with her perfectly understated and sincere voice. She is, says Colin Irwin of fRoots, “unveiled, committed, uncontrived, persuasive, passionate, empowering and utterly wonderful”. 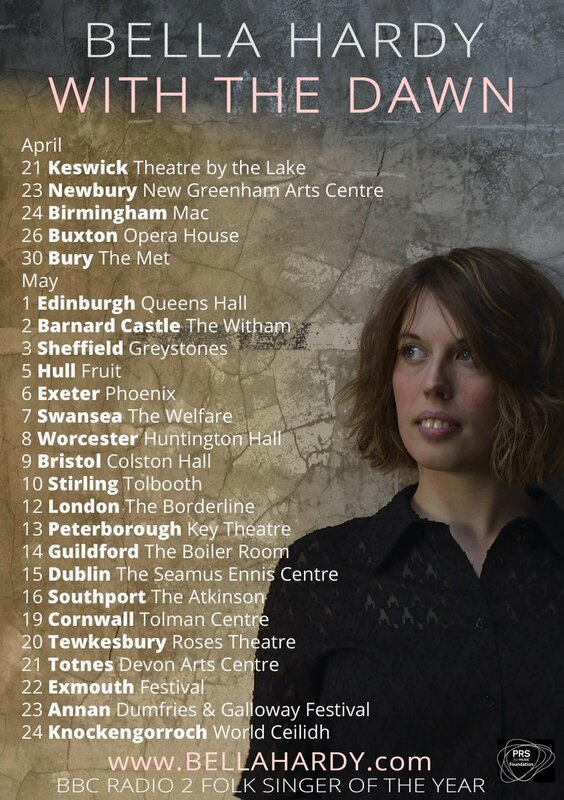 The Peak District native heads out on tour following the release of her seventh album, With The Dawn – a heartfelt, intimate and reflective account of one year of her life. Singer and violinist Bella Hardy grew up in England’s Peak District. Inspired by a childhood love for ballad books and visits to local folk festivals, she taught herself to fiddle sing. Aged 13, she began performing at Cambridge and Sidmouth festivals, and in 2004 reached the final of the BBC Young Folk Awards. Following a BA in English Literature and a Masters degree in Music, Bella released her debut album ‘Night Visiting’ in 2007. This album featured her first original composition, ‘Three Black Feathers’, which was nominated for a BBC Folk Award. She won a BBC Radio 2 Folk Award for her original song The Herring Girl in 2012, and was named Folk Singer of the Year in 2014. She has appeared on numerous BBC radio and TV programmes, and was featured in a sold-out Albert Hall at the Proms. She has collaborated with former Beautiful South founder David Rotheray, and formed an all-female fiddle group with celebrated musician Eliza Carthy. @bellahardy We're sorry - had a copy and paste nightmare! Will change to the correct date ASAP!